Probably best known for being a difficult game, Bloodborne also packs its fair share of surprising moments, some of which will probably linger in the collective memory of gamers for some time to come. It should go without saying that this article will be full of spoilers so, if you to want to play the game clean, you might want to just sit this one out. Fair warning. Bloodborne is a pretty massive game. Your first playthrough can take upwards of 40 hours if you're going for full exploration, and that doesn't even include time spent in the challenging Chalice Dungeons, which are 100 percent optional. What's truly impressive is how, through all that time, you're mostly playing on one massive map. Built like a classic Castlevania castle, the city of Yharnam and its surrounding areas are connected like a big bowl of spaghetti, constantly winding in on itself and interlocking in ways that you might not expect. It's always a delight to open a gate, step out into an area and realize that you've just discovered a new shortcut back to a place you've already been. Bloodborne is positively overflowing with these moments of discovery, with everything from the boss battles to the armor you wear and the items you use sporting “Ah-ha!” moments. In other words, Bloodborne is full of surprises. There are entire sections of the game you can completely bypass, including eight bosses you may never face if you don't put in the time to explore. That's an extremely bold move on the part of From Software, as most developers cringe at the thought of putting in the time and effort to design parts of a game knowing full-well that many players may never experience it. And that's exactly what's happened, according to my Trophy list. Perusing some of the Trophies tied to optional boss encounters, the percentage of players who have taken part in these battles is frequently 30 percent and below. Honestly, picking five favorite surprising moments from Bloodborne was about as hard as the game itself, because the game is full of so many of them. I'm sure folks will add some in the comments section that I've completely forgotten, but are just as valid. Cainhurst castle is one of my favorite omissions, for example, as it's an entire castle (with more than a few Castlevania homages peppered throughout) that you can completely skip if you don't pick up a very specific letter, read it, and do as it tells you. But, without further ado, here's my five favorites. As Bloodborne's Honest Trailer points out, the game has moments where it's more frightning than anything on the horror market these days. The developers are aware of that fact, as they demonstrate late in the game while exploring the Upper Cathedral Ward. This particular moment takes place in a dark hallway made of ancient wood in a location that's the closest to “survival horror” that Bloodborne becomes. You're walking down the seemingly empty hall when it abruptly comes to an end. You try a door on your left and, drat, it's locked. 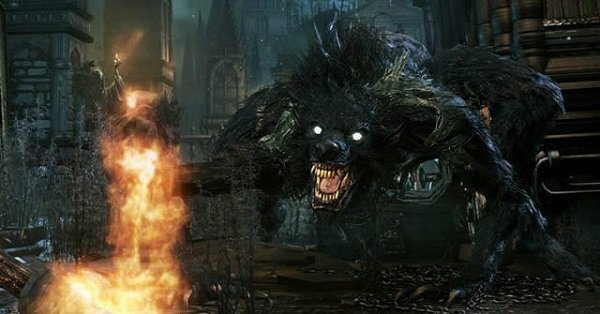 As you start to walk back down the hall, though, a particularly nasty werewolf comes crashing through a window behind you, reminding you that such events could happen at any moment in Bloodborne. On top of making me scream like a small child, I got a kick out of this not-so-subtle nod to the original Resident Evil. This event will have been surprising to any player, but it should hold a special place in the heart of fans of previous From Software games. Walking through the Nightmare Realm, you likely noticed a creepy-looking spider with a human head. He seems to be minding his own business, so you wouldn't be faulted for ignoring him. Eventually you'll come upon a nice bit of loot sitting near the edge of a ravine that leads into a poison bog. This isn't uncommon, as the sadistic devs like to put all kinds of shiny things near areas where a tiny misstep might kill you. Approach this particular piece of loot, though, and you'll be treated to a scene of an unknown assailant pushing you into the pit and taunting you joyously about it. You later discover that tricksy spider is named “Patches,” a moniker that pops up in previous Souls games that's tied to dudes who happen to like pushing players into pits. This one makes the list because it was just so bizarre and unexpected. 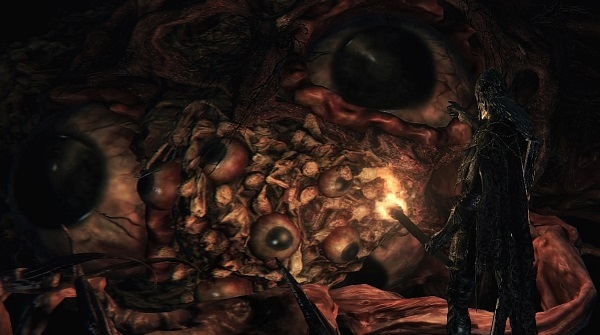 In Bloodborne, there are terrifying creatures called Brain Trusts that basically look like Metroids from hell. They've attached themselves to some unfortunate soul and walk around singing the creepiest tune imaginable. Their leader is an elder god monstrosity called The Brain of Mensis, but most players call it Mother Brain for obvious reasons. While exploring this appropriately named hellscape of a level, you may eventually find a lever that drops this massive creature into a seemingly bottomless pit. If, however, you backtrack to an earlier portion of the level (without any prompt or explanation, mind you), you'll discover an elevator where one didn't exist before. Take this elevator down and you'll find yourself in a pitch-black basement with the sound of a massive heartbeat echoing off the walls. Keep exploring and you'll walk up on this horrible creature, just lying there and looking innocent. It's got a pretty big life bar, but you can stand there and attack it if you like, eventually killing it and earning an item. The fall, it would seem, took all of the fight out of it. Given the build up to get to the Brain and the fact that it looks like a boss brawl, however, I kept waiting for the other shoe to drop and the real battle to begin. It was so surprising that, for once in this game, that fight never came. In Bloodborne, your safe haven is called the Hunter's Dream, an ancient workshop surrounded by a few tombstones and occupied primarily by a living doll that helps you along your journey. This place is detached from the rest of the game world, seeming to exist only in the ethereal plane. At one point in your journey, you may find yourself exploring the Healing Church Workshop, carefully working your way down through an abandoned tower that's seen better days. If, however, you know exactly where to leap off a certain ledge, you'll find yourself standing in front of a door that leads to an abandoned old workshop. This was the moment in Bloodborne when I finally got interested in the lore, as the area looks exactly like the one from the Hunter's Dream. You can grab a few items here, and you'll even find a “broken doll” sitting in a corner, identical to the living doll that's helped make you stronger in the dream world. It was an extremely unexpected revelation and a great example of how From leaves much of its games' narratives to be discovered like the rest of the game. I'll be vague here, because I know there are plenty of people who are working on their latest run through Bloodborne simply because they missed the fact that there was a bit more gameplay and an entirely different ending if you meet certain conditions within the game. 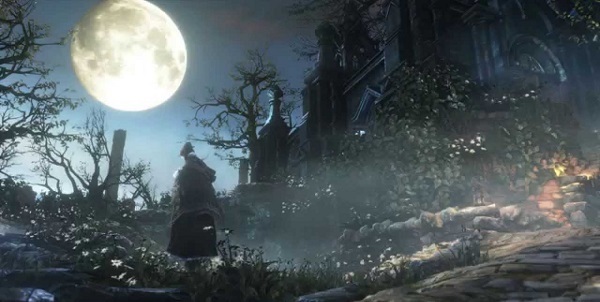 Like many locations in Bloodborne, From Software decided to hide the game's ultimate climax beneath a somewhat complex series of events. In the game, you can find four items called “One Third of Umbilical Cord.” Two of these are hard to miss and the other two are a bit more tricky to locate. By tricky, I mean you have to do very specific things at very specific times, as well as avoid a couple of other unforeseen problems (like a murderous nun) in order to acquire them. If you manage to grab three of these items and use them before a certain point in the game, you'll be able to experience the true final showdown. 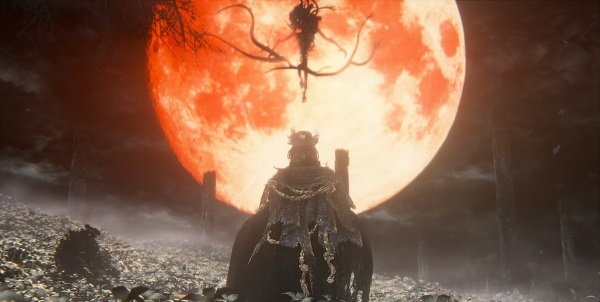 Full disclosure: I did my best to keep away from any sort of guide while playing Bloodborne but, once I heard there was “true ending” you could miss, I instantly looked up the vaguest rundown of how to achieve it I could find. This was one surprise I didn't want to have to wait to New Game+ to experience.